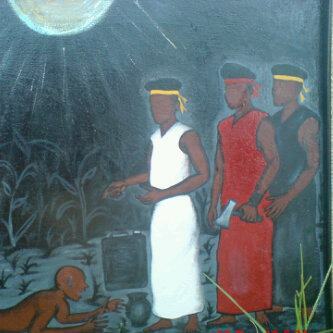 The Neo Black Movement of Africa is a controversial (to say the least) Nigerian confraternity. Most choose to call it a dreaded campus cult. But whatever we call NBM it is definitely not what they call themselves. And this is where we are getting to the point of this blog. I am going to have a look at such contradictions and the evidence in support of one side or the other in order to identify the truth about NBM. You are an idiot, just listen to yourself align with a greedy saboteur. LOL sure. This assmanly word salad translates as: Valentino Strasser (= correct spelling, it’s a fairly common strong name in NBM) from Bermuda 1 (= correct spelling, it’s an NBM temple = University of Nigeria, Nsukka) greets the NBM national body, the NBM zones and all other of his “glorious” fellow assmen around the world. There you go again showing the world what NBM is really like. Thank you for proving me right yet again. Don’t mind the brainless fool, Uche Tobias or Von EDOMI or whatever names you call yourselves. Self styled vigilantes stand alone, watch your back spy master. Aye assman! So you have identified a new suspect. Von Edomi this time. Hahaha. Congratulations – wrong again! The assmanly crack team is as useless and dumb as it has been the past 3 years. Didorima to all men,i grt all men !! ishee korofo no men go fall before der tym oo,jew name Adex. @najuju… just one question.whats the gain in all this? obviously you’re a cultist too.if u love am u join am if not go ur way.